Since liquid lipsticks started being super hyped, I've tried a lot of them and have been disappointed on many occasions. Most are way to dry and start looking thick and crusty after a couple of hours, not to mention their tendency to crumble off your lips in a very inelegant way. 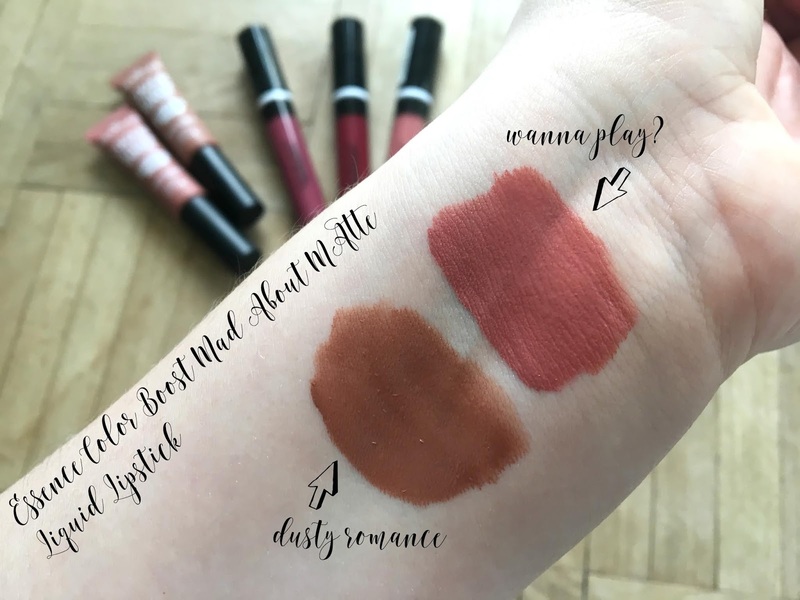 I almost vowed to stop buying liquid lips and focus on old school bullet lipsticks, but the makeup addict in me just can't stop from trying new formulas! I can't be too mad, considering that I've discovered some terrific products, some of which are total steals! 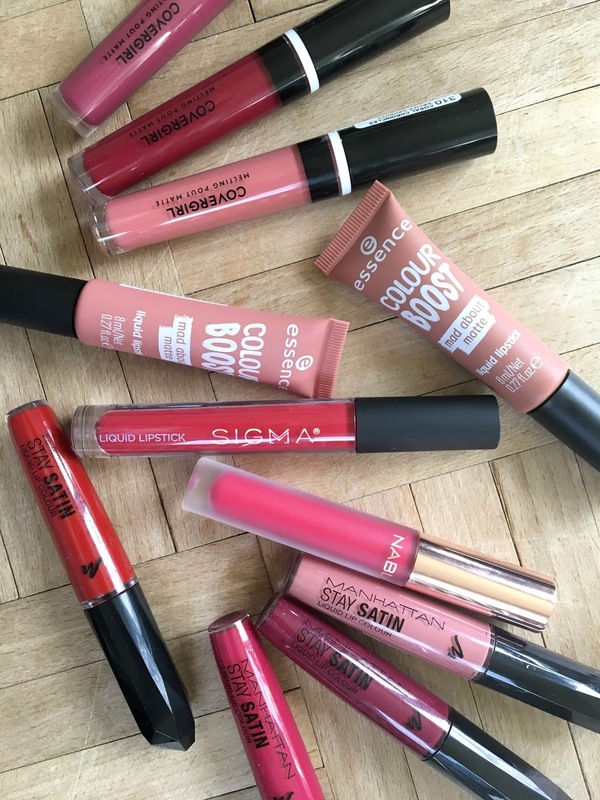 - Essence Color Boost Mad About Matte Liquid Lipstick: These are a total steal! I wasn't expecting much from them, but they are good! The formula is very thin and liquidy. They're not drying, they don't look cakey, they don't crumble. They're honestly a lot better than some of the high end liquid lipsticks I've tried (i.e. Mac Retro Matte and Urban Decay Vice). - Manhattan Stay Satin Liquid Lip Color The shade "inspired" hasn't left my handbag since I've bought it. As the name suggests, they're not completely matte, which makes them so much more comfortable. The dark plum shade is a bit patchy, but nothing that a second layer can't fix. - Covergirl Melting Pout Matte: Another proof that the drugstore is killing it lipstick-wise. These are comfortable and they wear nicely (no crumbs in sight). The shade "Coral Chronicles" is divine! 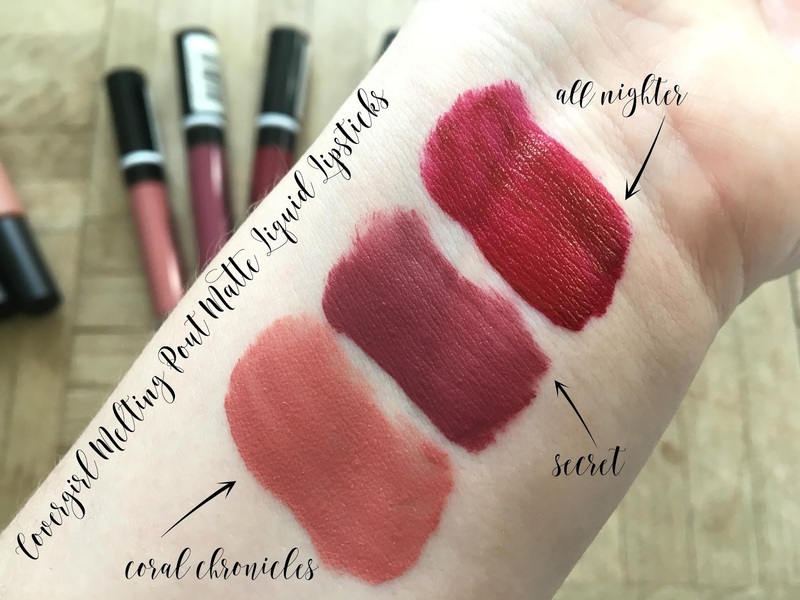 - Nabla Dreamy Matte Liquid Lipstick: The formula is very thin when you apply it and it sets to a super matte finish. I have the shade "Alter ego" which is gorgeous, but I'm not a fan of the formula. I found it too dry and I had to dab lip balm on top to keep it comfortable. It is useful to line your lips first with the darker shades, as it is the kind of formula that works best when only a thin layer is applied. This is my least favorite formula in this selection. However, the shade I have is so beautiful that I will probably keep wearing it with a balm or gloss on top. Perfect for a night out! 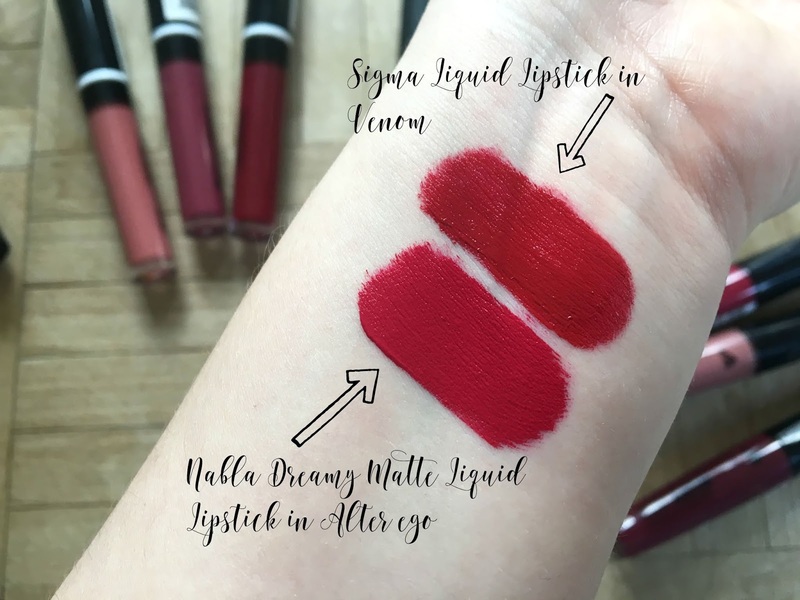 - Sigma Liquid Lipstick in Venom: Part of their Venom collection, this liquid lipstick has a thick, whipped texture upon application. It is a deep blueish red that looks like velvet once it has set. It is definitely long lasting. However, you might want to prep your lips with a nice dose of lip balm, as this formula gets a bit dry after a few hours. I haven't worn it long enough, but I have a feeling it might start to crumble. 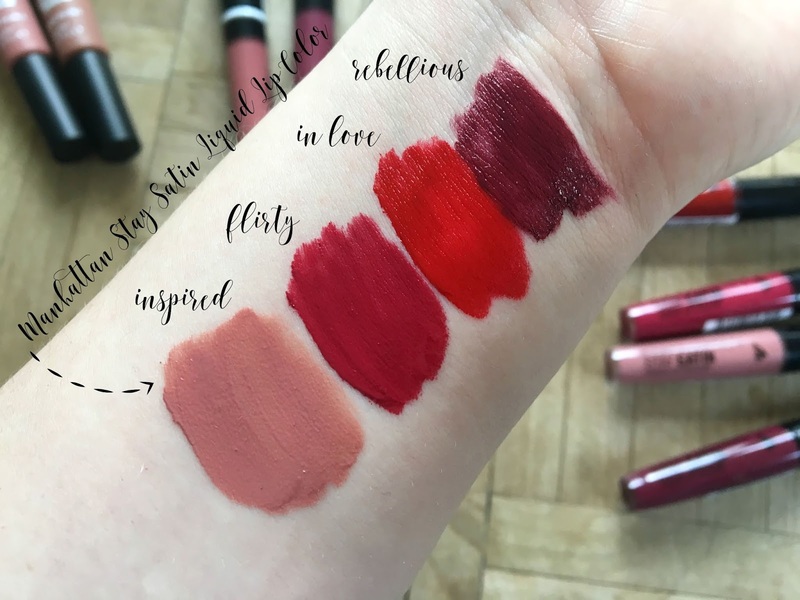 Do you have a favorite liquid lipstick ? I'd love to know!